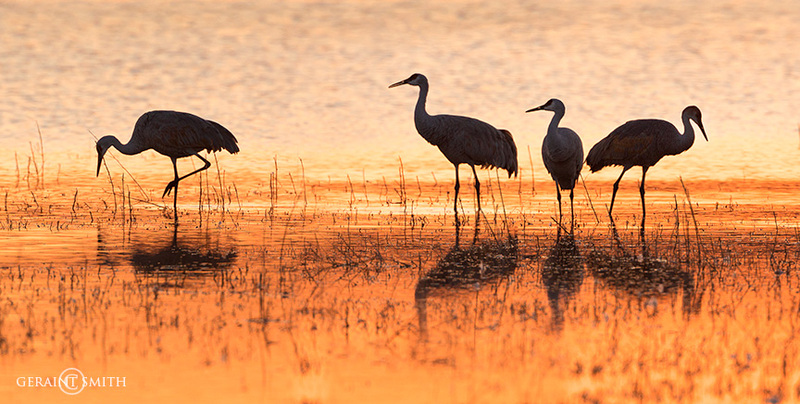 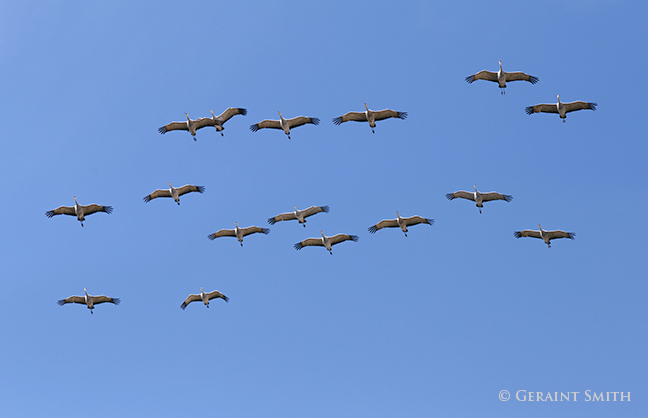 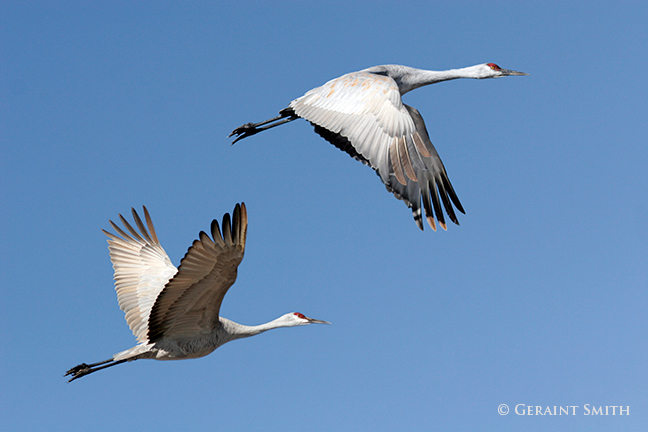 More images of Sandhill Cranes. 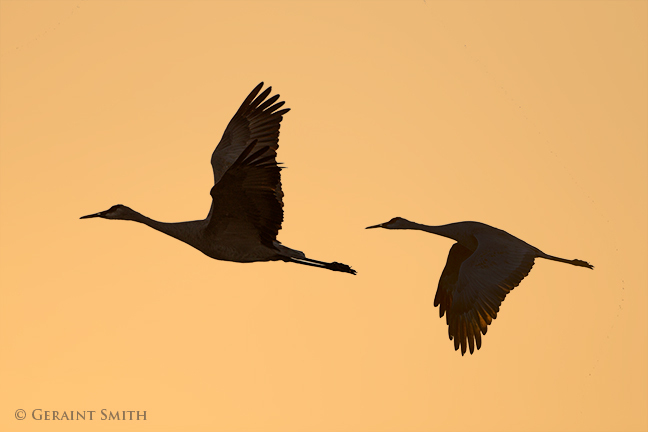 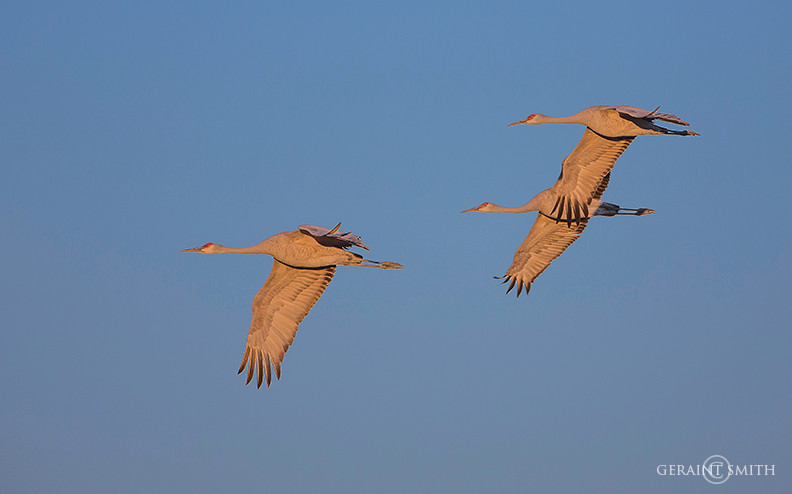 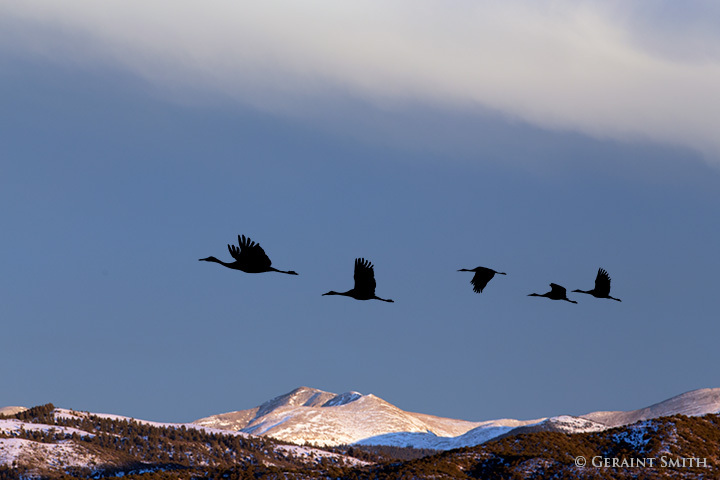 Sandhill Cranes fly in as the sun sets in the National Wildlife Refuge, Monte Vista, Colorado. 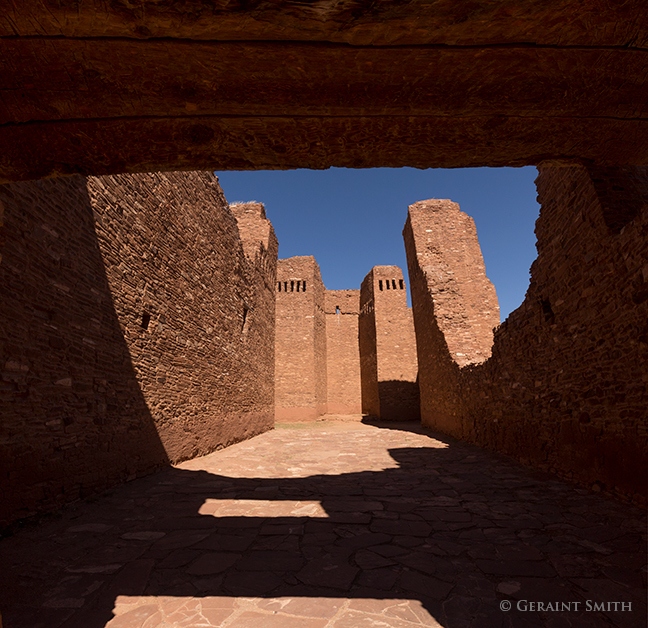 Quarai Ruins, Salinas Missions National Monuments, New Mexico. 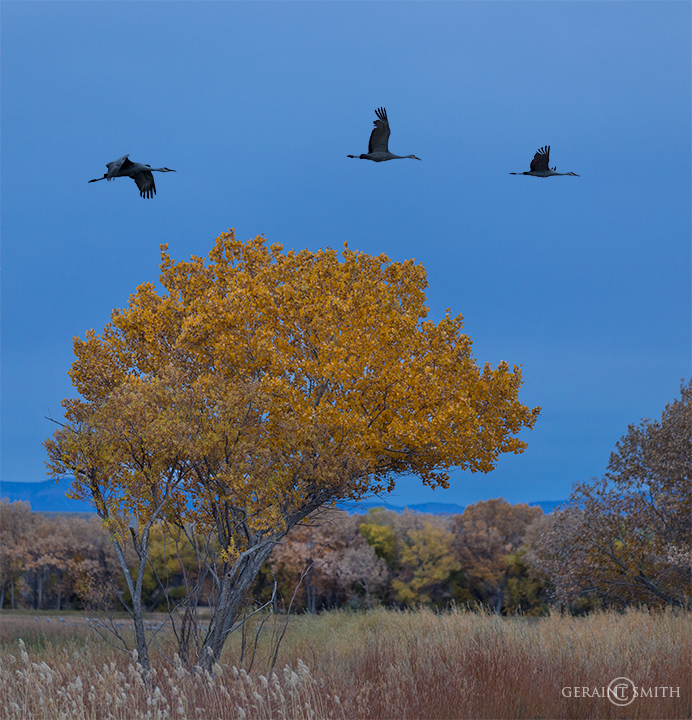 During my trip here today with my client, we experienced this historical location under blue skies and pristine lighting conditions which concluded our photography adventure on the road in New Mexico. 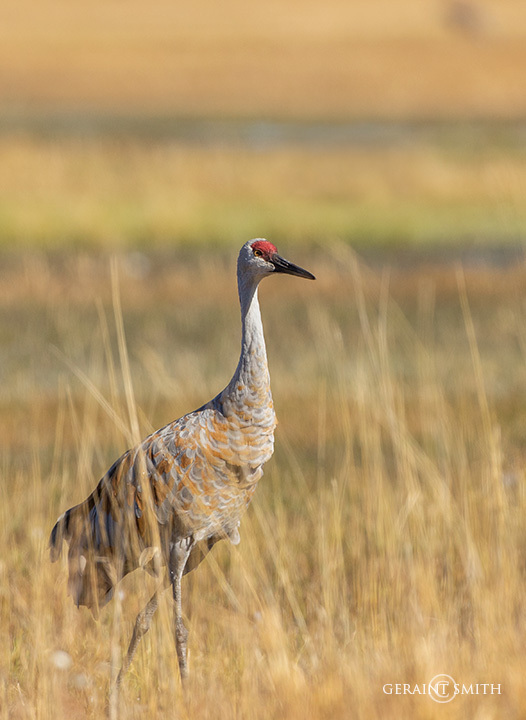 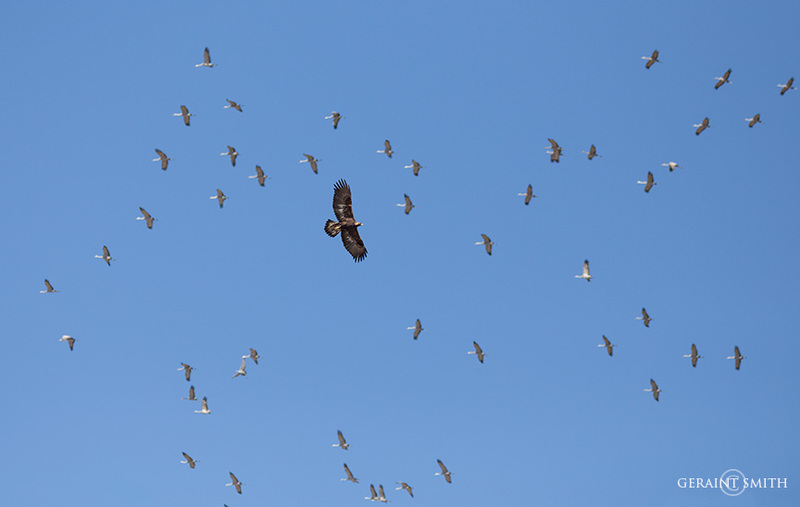 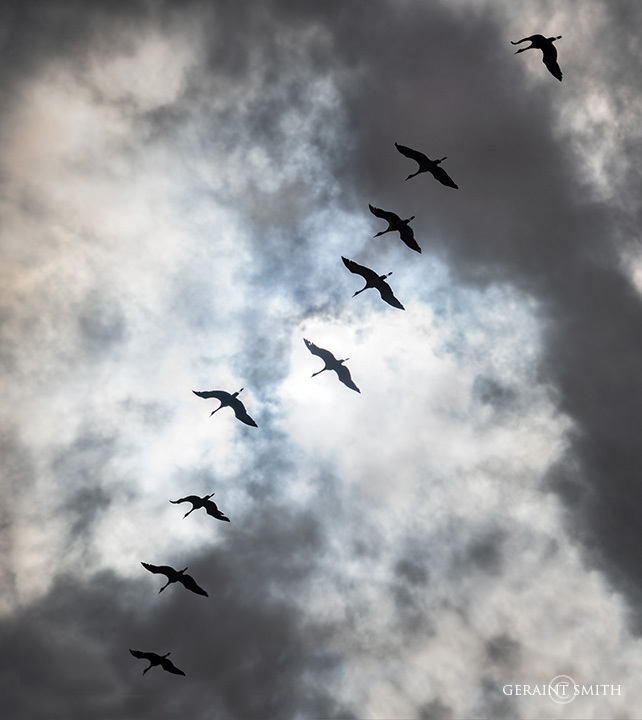 That said, there was one other sublime moment today when a flock of Sandhill Cranes flew high overhead, their rattling, bugling, primordial calls could be heard echoing off these ancient walls as they have done for millennium on their annual migrations. 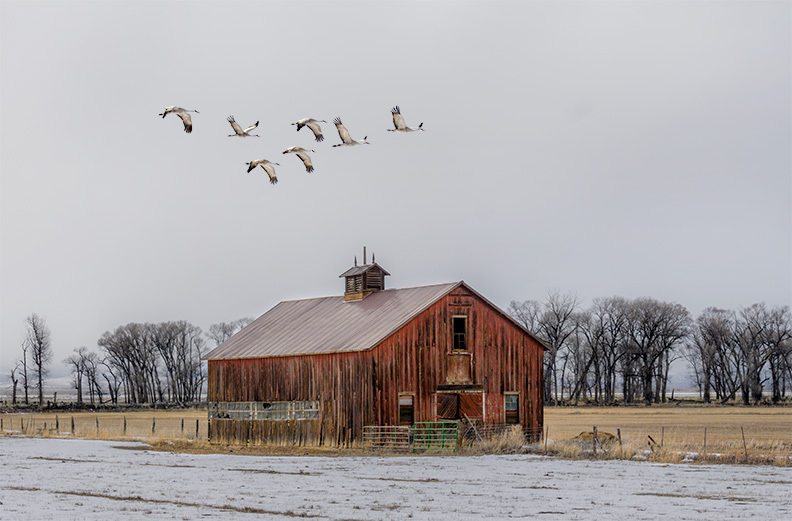 Pausing for a moment, I acknowledged some grander design that exists beyond these man made testaments to our short existence on this planet that go un-noticed by those creatures a thousand feet above.